The Kärcher 2-way tap adapter is high-quality tap connector with G3/4 tap connector and G1/2 reduction piece allowes you to water with up to two hoses at the same time. The 2-way tap adapter has two tap connectors with two independent controllers which allowes you to achieve the optimal water flow for your garden. 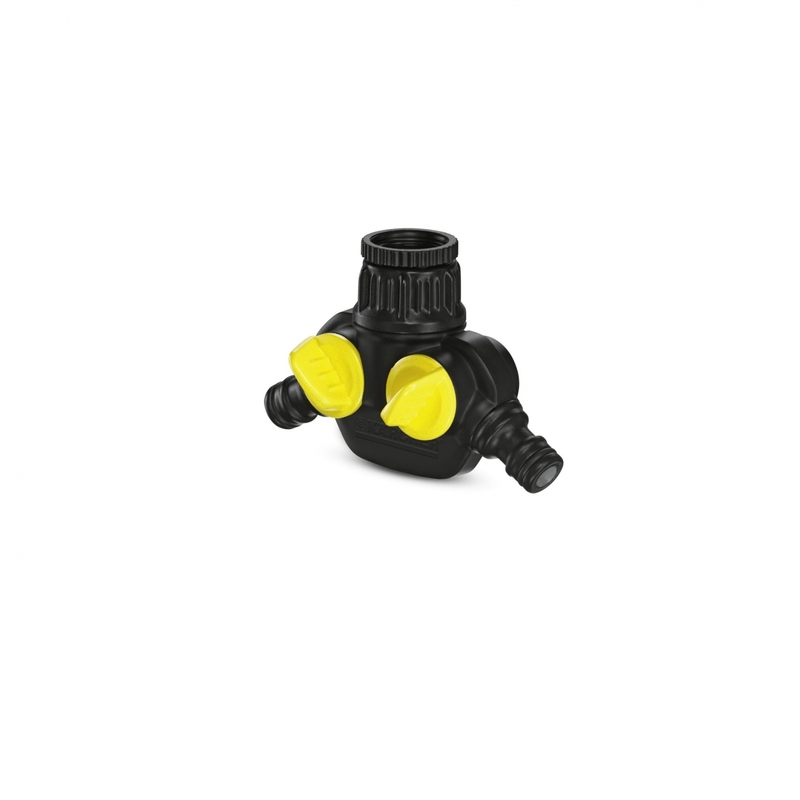 It can be used universally in conjunction with all standard garden hoses and impresses with robust quality and ergonomic design for comfortable and simple handling. The smooth-running union joint with the robust interior thread guarantees a simple and convenient attachment to the water tap. The 2-way distributor is compatible with most connection systems. Separate use of two water outlets on one tap. Easy attachment to taps with 3/4″ or 1/2″ thread.